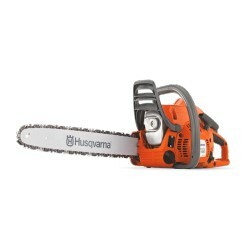 Chainsaws are an effective tool for cutting trees and wood. They are highly cost effective and have enough power behind them to tackle tough jobs like felling trees and sawing larger logs. 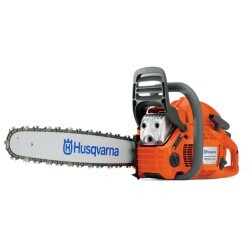 We stock an extensive range of chainsaws from different brands including STIHL, Husqvarna, Alpina, STIGA and MTD. There is certainly plenty of choice on offer for the professional and domestic user. Electric or petrol, it really is up to you what kind of saw you want or need and now you can even go completely cordless with fantastic battery power. Chainsaws There are 23 products. 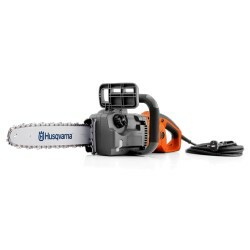 The Husqvarna 420 EL Electric Chainsaw is a fantastic and powerful 16" electric chainsaw which is ideal for homeowners, indoor use or craftsmen. 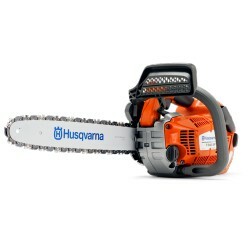 A battery powered chainsaw with a 16" cutting bar which is ideal for maintaining medium to large sized gardens. The Stihl MS 150 TC-E is an extremely light arborist chainsaw fitted with ErgoStart as standard. The very best selling entry-level chainsaw from STIHL. Ideal for general cutting and trimming tasks in the garden. The MS 180 14" is a 1.4 kW petrol chainsaw with 2-MIX engine technology, ideal for chopping firewood or property maintenance. The STIHL MS 181 14" is Perfect for all of your around-the-garden cutting jobs.